The Roman Stone Foundation garden border provides the look of a masonry stone garden edge with the added benefit of being made from flexible, environmentally friendly rubber! Designed as a base for garden border Roman Stone Earth, allowing you to create a combined border height of 6.5". Barkman's I-con edgers are perfect for any job requiring edging or keeping a clean look on your yard. I-con edgers are versatile and can be used for straight runs or curves. I-con edgers are available in different colours to compliment any area and are perfect for around trees and separating your lawn from low level planted areas especially rock gardens. Small curb being used to delimit, at accessible cost, paved surfaces or small flowerbeds. The presence of a joint allows the unit to get an irregular aspect of natural stone. Beveled sides allow easy installation of curved or straight lines. 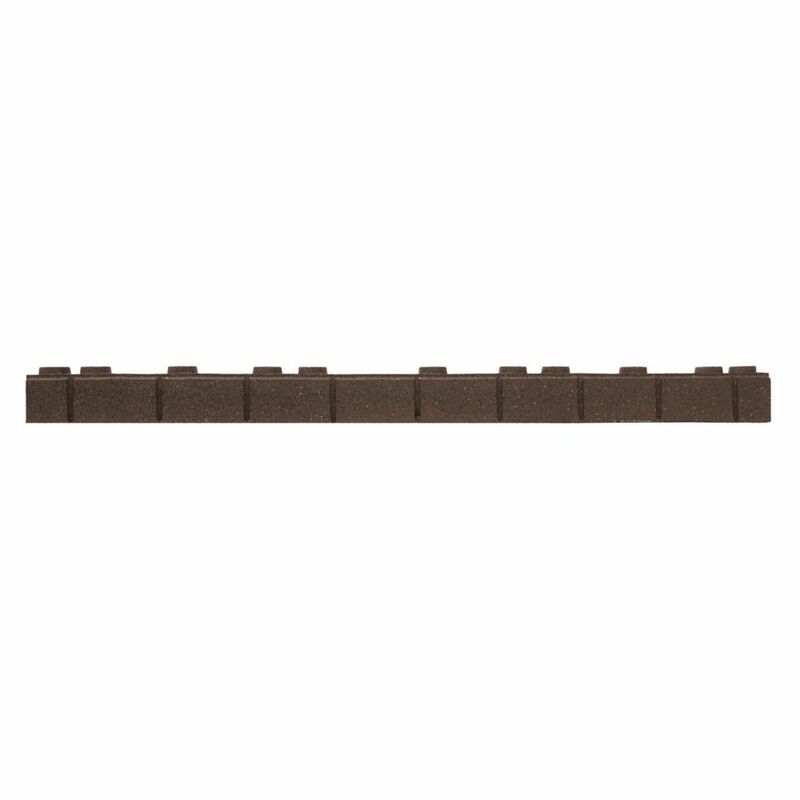 Roman Stone Foundation Earth Edger The Roman Stone Foundation garden border provides the look of a masonry stone garden edge with the added benefit of being made from flexible, environmentally friendly rubber! Designed as a base for garden border Roman Stone Earth, allowing you to create a combined border height of 6.5". Roman Stone Foundation Earth Edger is rated 5.0 out of 5 by 1. Rated 5 out of 5 by Allistondan from So easy to install This garden edging was so much easier to install than stone edging. Had it done in a couple hours and it looks fantastic. Price per foot is probably about the same as stone, but the fact you don't have to lug stones around and the ease of installation made it worth it to me. Does this product come in the grey to match the top roman stone available on line?